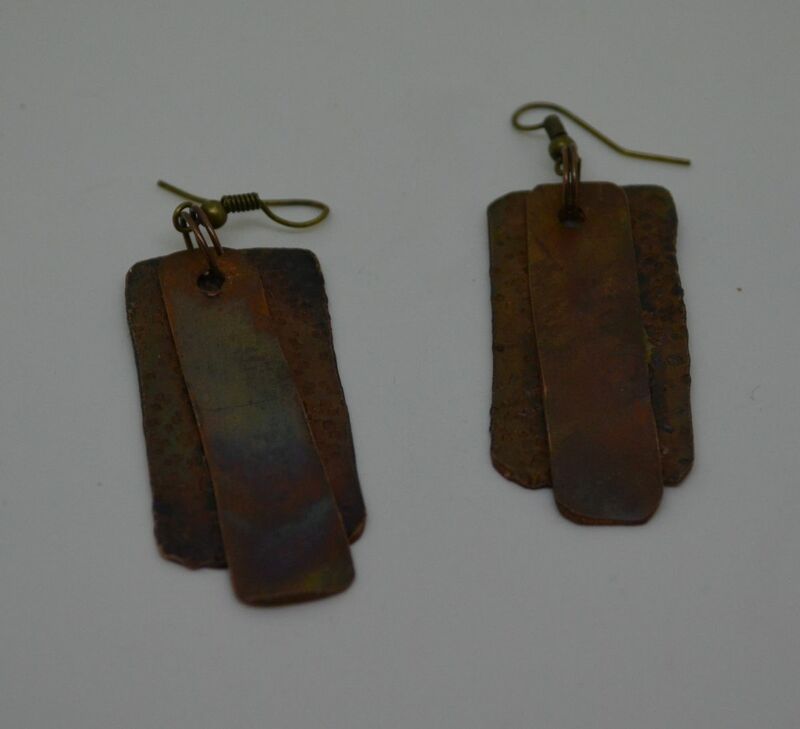 Our Copper Bonded Earrings are a perfect addition to your accessories wardrobe. 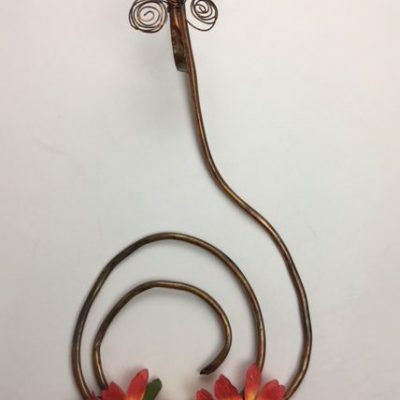 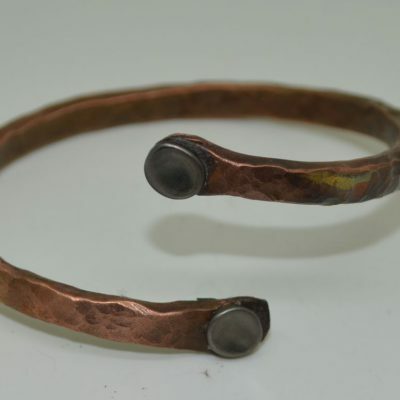 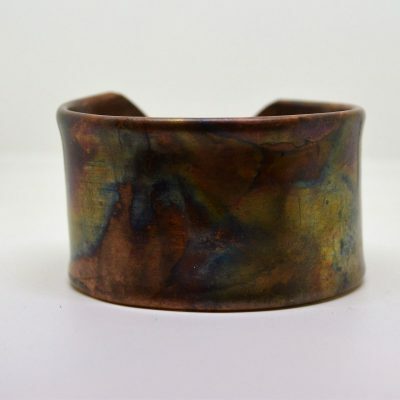 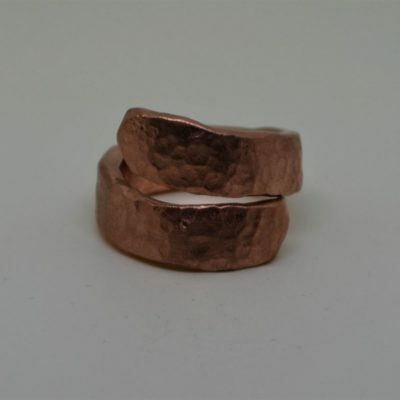 We hand cut the two copper elements and then add subtle color by briefly exposing them to fire. 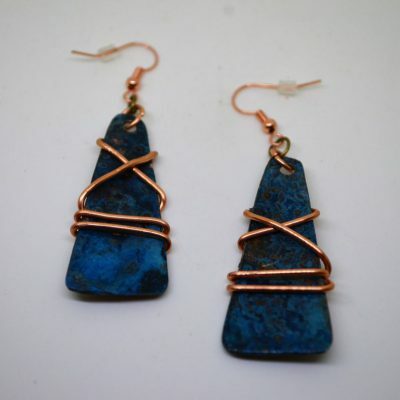 The colored elements are then bonded together to create a fun but natural earring. 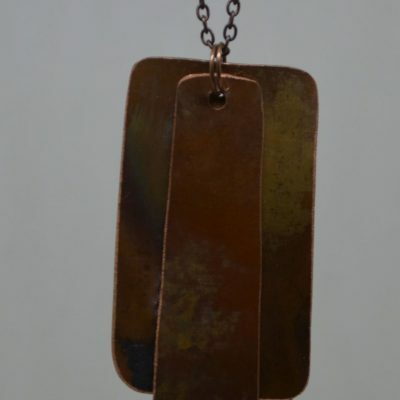 See our Bonded Pendant that was designed to match perfectly!